A lovely handmade lemon fascinator for any special occasion, a wedding, the races, prom etc. I have used 2 of my French vintage unused feather pads. I will include the sticker which was still on one of them. 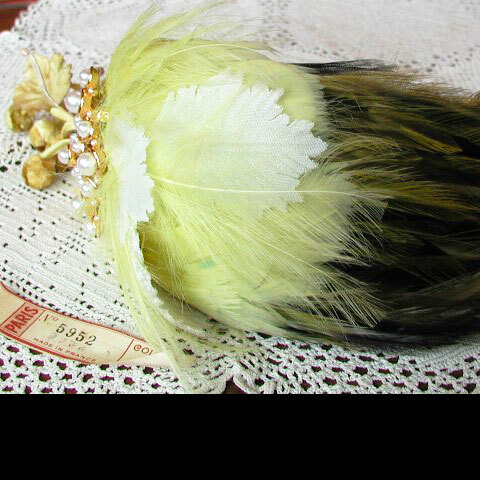 The long pad is almost a dark greenish black with dark yellow highlights, then on top we have the smaller pad of pale fluffy lemon feathers, with fabric and velvet leaves nestled in Between. 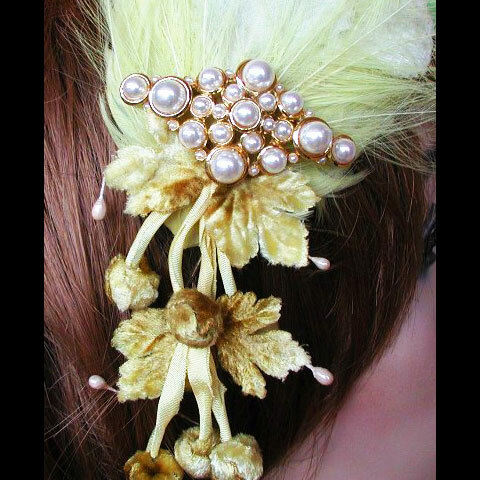 The dangling leaves and buds is also a vintage embellishment, and it is all topped with that beautiful large pearly brooch. 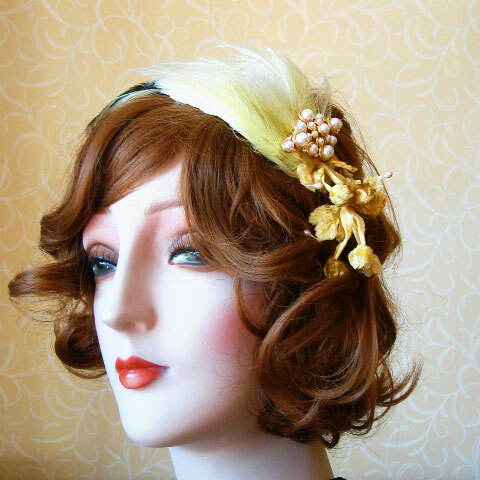 The lemon fascinator fits on the head with a double hair band, and is lined in velvet. It can be worn with the brooch on either side. I have tried to show all of these details in my photos.